Chestnut Ridge is Western North Carolina’s newest and most desired timeless style venue. 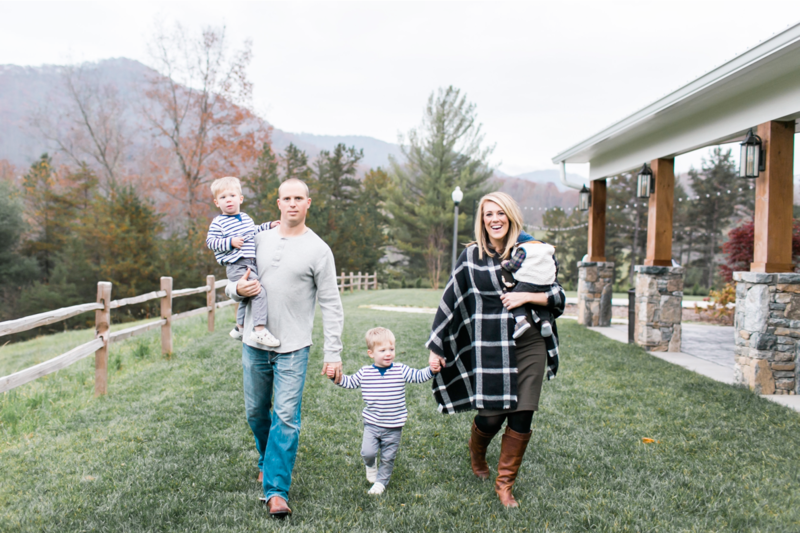 Although a new venue by trade, since the late 1800’s the ridge on Chestnut Mountain has been filled with the crisp air and warm hearts of a single family. With origins as a family farm, for over 100 years the land has produced cattle, sorghum, tobacco, and abundance. It wasn’t until the wedding of the fourth generation son did the ridge begin to warm the hearts of visitors. The owners were married on this raw land seven years ago, and from that day forward, began to dream of sharing their love for this land with couples just like you. Chestnut Ridge believes in the lasting experience. This is where we transcend the expected by offering breath-taking views, meaningful and exclusive amenities, and the freedom to dream. Chestnut Ridge is where you’ll truly meet your memories. From weddings, conferences, luncheons, and business events, we look forward to sharing our piece of home with you. Taylor & Preston met just after college, and knew that God had brought them together to live out their love story and to share it with others. Dating only 6 months before their engagement, they married 8 months later on Preston’s family farm just outside of Asheville North Carolina on a ridge of Chestnut Mountain. Have you ever heard of the saying “All I need today is a little bit of coffee, & a whole lot of Jesus?” Well if you haven’t … meet Taylor, and you’ll know exactly what we mean. She’ll admit she needs a lot more coffee than just a little for her day-to-day tasks of not only running her own business but also chasing her three boys under the age of 3 in circles around the farm. Originally from the big city of Charlotte with a financial planning background and a strong drive teach women to be financially independent, she was always a seeker of entrepreneurship. Marrying the love of her life, it was natural for her to fall in love with not only the mountain man but also the breathtaking beauty of the mountains where he was raised. She is now fulfilling her dream by hosting hundreds of brides at her charming wedding venue nestled in the heart of where she now calls home, Chestnut Ridge. Preston works evenings and weekends to keep up with all things maintenance, repairs and overall landscaping while also maintaining his day job as an Engineer, father, husband and wonderful business partner. He is known to reply at night to last minute emails that Taylor may have not gotten to during her busy day, and he’s great at making the brides of Chestnut Ridge happy and at ease with not just the amount of outlets he installed in the bridal suite (got to have plenty of outlets for all those beauty essentials! ), but also his warming spirit of southern hospitality. Together they make the owners of Chestnut Ridge, but more than that they make a welcoming space for couples to begin their forever together.